More and more of the workforce is telecommuting or working at home at least part of the time. There’s lots of benefits to this: it reduces your commute time and likewise your environmental impact, it can allow for more productive and uninterrupted work time, can save on relocation costs, and a host of others. Telecommuting is a huge boon for parents who need and value the schedule and workplace flexibility. But how do you make sure your work-from-home time is as productive as it can be? It starts with a dedicated, well-designed workspace. Ask yourself some questions to begin determining what kind of space will meet your needs best. Where are you at your most productive? Do you need lots of natural light? Do you meet with clients or business partners in your home office? Will you need space for special equipment or filing cabinets? What is your budget? While larger homes mean that many of us can set up whole rooms as home offices, not everyone has that luxury. 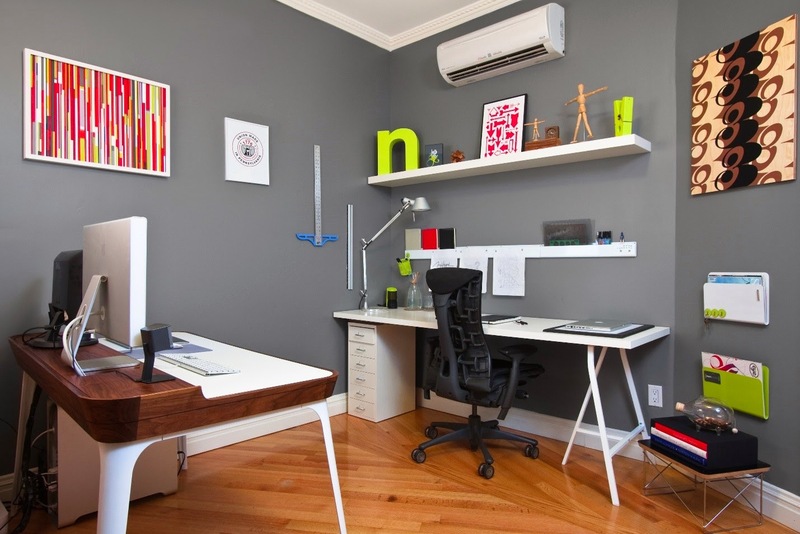 Check out a variety of home workspaces below and determine what might work best for you! If you have a spare room that you can use for your office, you can set up a great workspace sanctuary. Choose paint colors that will inspire you to be most productive in your work- shades of blue and green work well. With a dedicated room, you can enjoy quiet for conference calls, and easily use the space to meet with clients and others. You can keep things as minimal or as cozy or cluttered as you like. If you’re lucky, you can use a space with lots of natural light- or if you prefer a more den-like workspace, the basement may be an option for you. No matter what your space, you’ll want an ergonomic desk chair to support you while you’re working, or you’ll want an anti-fatigue mat if you use a standing desk. 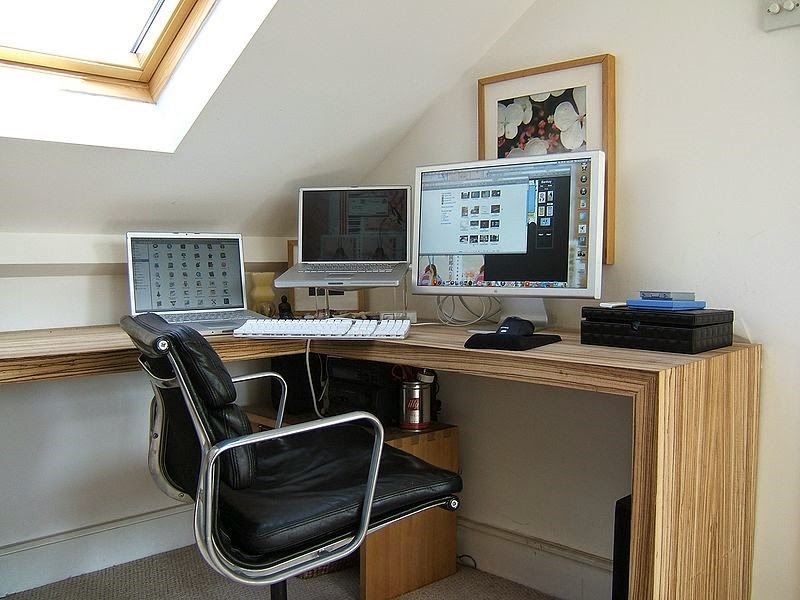 Do you lack a spare room to set up your home office? 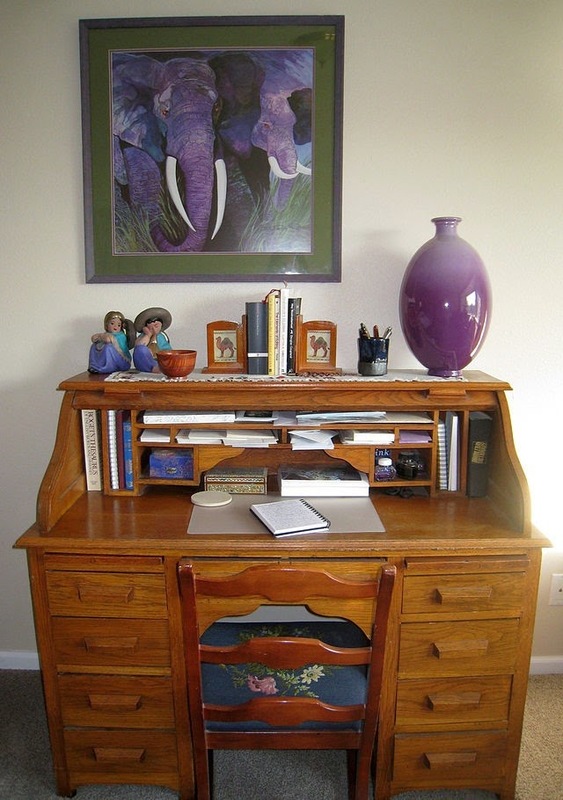 Perhaps a secretary desk or rolltop writing desk would be a good option or you! Secretaries are great for tucking away your work when you’re doing other things, and have a small footprint, while allowing you to maintain a dedicated workspace. Add your laptop and you’re good to go to get your work done. Maybe you and your spouse or partner can work well in the same office, and you can save space that way! Shared offices are a great way to keep workspaces separate without taking up as much living space. Consider a double desk or a built-in workspace, and play rock-paper-scissors to decide who gets to sit by the window. A combined office and guest room allows for efficient use of space, without sacrificing a place for guests to stay. 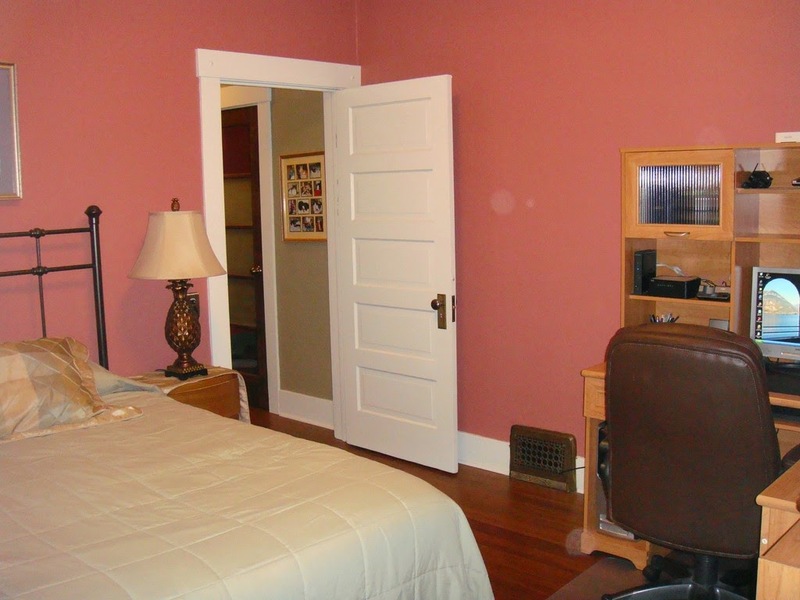 Consider a murphy bed to keep the sleeping area tucked up and out of the way during your workdays. Portable screens can also help to divide space and allow privacy and comfort for your guests if you need to access your workspace while they are staying with you. I work from home one day a week myself, and my workspace is an office I share with my husband. What is your home workspace like? Share your photos in the comments! I wonder if a linke will work better? I am a Big Fan of Movies and in last some Days i Heard about a new Movie Avengers Age Of Ultron. It is looking a very awesome as well as Entertaining Movie behalf of my thinking. You can also watch this Movie on this Link.